The Office of Internal Audits at Atlanta Metropolitan State College (AMSC) is an independent office that exists to provide objective assurance, compliance, and consulting activities designed to add value and improve the institution’s operations. The Office of Internal Audits is designed to help the Institution accomplish its objectives by bringing a systematic, disciplined approach to evaluate and improve the effectiveness of risk management, compliance, control, and governance processes. This Office is authorized by the Board of Regents (BOR) of the University System of Georgia (USG) and exists to assist the Board, the Chancellor, and the College President in the effective fulfillment of their responsibilities and in meeting the objectives of the College’s strategic plan. 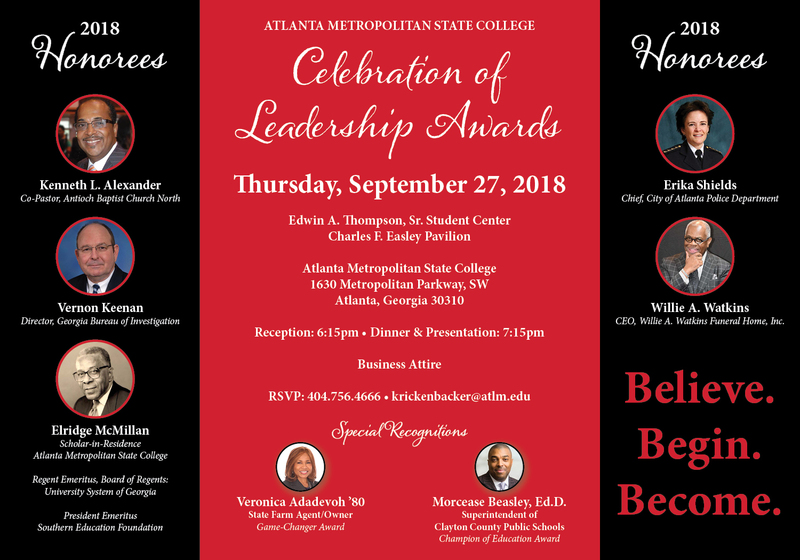 The mission of the Office of Internal Audits (OIA) at Atlanta Metropolitan State College is to support the long and short-term goals and strategic plans of the Institution, the Board of Regents, and the University System of Georgia (USG). The OIA accomplishes this by providing comprehensive, independent, and objective appraisals of operations, business processes and departmental activities designed to promote the institution’s mission toward academic excellence and to ensure compliance with state and federal regulations, established policies, procedures, and appropriate business practices. OIA adheres to the USG Core Values of Integrity, Excellence, Accountability and Respect. Additionally, we promote competence, maintain confidentiality, and closely align our processes with the Institute of Internal Audit (IIA) Professional Standards. Reviewing the accuracy and propriety of financial and operating information and the means used to identify, measure, classify, and report such information. Reviewing the systems established to ensure compliance with policies, plans, procedures, laws, and regulations which could have a significant impact on operations. Validating that the institution is in compliance with established plans, policies, and procedures. Providing recommendations and consultation to improve operating efficiency, policies, procedures and/or changes to the system of internal control. Reviewing the status of Information Technology policies and procedures, verifying that required hardware, software and process controls have been implemented and that the controls are functioning properly. Consulting and educating on financial and operational processes, controls, related risks, exposure and fraud awareness; providing guidance and advice on control and risk aspects of new policies, systems, processes, and procedures. Conducting special audits and/or reviewing specific operations at the request of the President or the USG Chief Audits Officer as appropriate. Investigating fraud and other types of fiscal misconduct in compliance with applicable laws and guidelines. The engagement results in a positive impact on processes where such an opportunity exists. The engagement objectives, scope, and procedures are constantly reassessed to ensure efficient use of resources. Engagement objectives are achieved in an efficient and timely manner. Customers have an opportunity to review our findings, conclusions, and recommendations as we strive for mutual agreement. There is good communication within the department and with relevant stakeholders. The perspective and needs of the engagement client and supported management are incorporated into the work process. Frequency of audits and reviews shall be determined by the risk assessment process and the proposed annual audit plan will be reviewed and discussed with the President or his/her designee. The finalized audit plan will be forwarded to the Board of Regents for review and approval. Reviews may range from annual audits to one audit in four years, depending on the relative risks involved, staff available, requests from Vice Presidents and other responsible officers, and the interests of relevant third parties.